Proof entry points – seal cracks and crevices around sinks, windowsills and electrical conduits and ensure that kitchen wall and floor tiles are well grouted. Store foodstuffs appropriately – where possible use tupperware or metal containers, with tightly fitting lids. Keep rubbish bags in metal or plastic bins – with tightly fitted lids to prevent cockroach access. Good housekeeping – clear away leftover food, sweep up any food scraps and mop up spillages, immediately. Routinely clean and scrub all surfaces and floors, removing all food residues. Eliminate clutter – take supplies out of boxes and store in cupboards or open metal shelving. This will reduce harbourage areas for cockroaches and assist visual inspections. 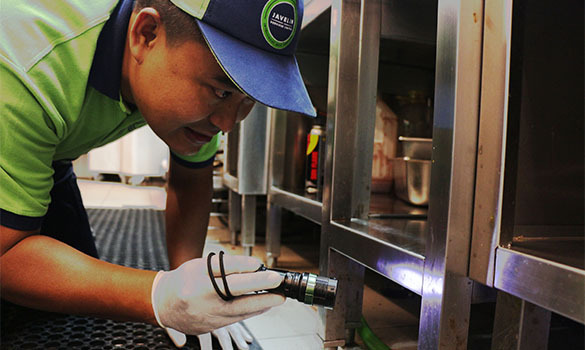 Regular Professional Inspections – by a qualified pest control company technician. 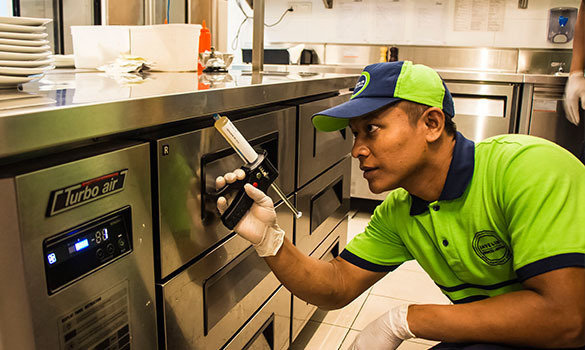 Comprehensive pest inspection and pest analysis. 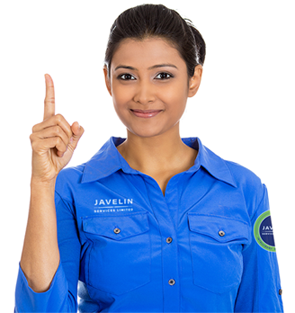 A Javelin surveyor will conduct a thorough survey of your property in order to clearly identify the nature, extent and source of your cockroach and other pest problems. What cockroach species were identified. What conditions attributed to your cockroach problems. A list of recommendations to help prevent cockroach infestations. What professional treatment would be most effective in eliminating all pests identified. Insecticidal Gel Baiting (IGB) is a modern pest control treatment used for the extermination of cockroaches in indoor areas. This treatment involves placing small dots of gel bait (containing a food source laced with an active ingredient) around the infested area. Cockroaches are lured to the bait and once consumed are killed by the active ingredient. IGB is extremely effective as, due to the cannibalistic and coprophagic nature of cockroaches, cockroaches often feed on the carcasses of other dead cockroaches. These dead cockroaches will often still contain the active ingredient, thereby leading to further killings. This is called the ‘cascade’ or ‘domino’ effect. This targeted treatment avoids the risk of food contamination and can specifically be designed for use in kitchens and food preparation areas to minimise disruption. 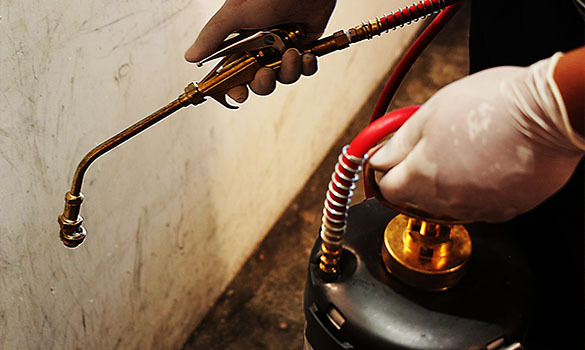 Internal Residual Spraying (IRS) treatment involves the spraying of insecticides along skirting boards, under sinks and at the base of appliances, and all other potential breeding and harbourage areas. The insecticide we apply creates a coat of residue which forms a protective barrier to cockroaches, preventing re-infestation. Javelin’s insecticides are designed to stay active for long periods, with a much higher residual life than local products. This means we do not have to return as often for treatment, minimising the disruption to your day-to-day activities and saving you money, while still being effective. We will deploy monitoring devices to monitor activity to detect a cockroach re-infestation as early as possible. 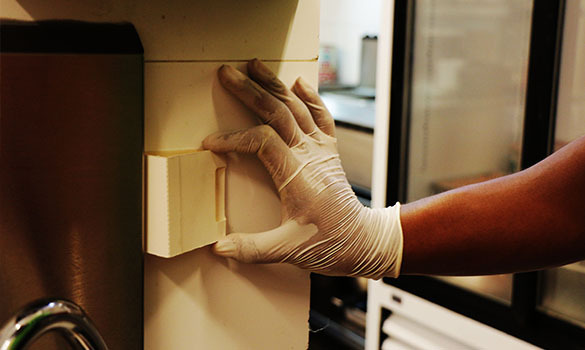 This will enable us to administer an even quicker and more effective treatment. It also helps us confirm which areas have a higher level of activity, so we can focus on these key areas. We guarantee to get back to you within 24 hours (Monday to Friday) to arrange an appointment. One of our surveyors will visit your site address at a time convenient to you and draw up a tailored solution, free of charge. If you give us the go ahead, one of our technician teams will visit shortly after and put the plan into action.